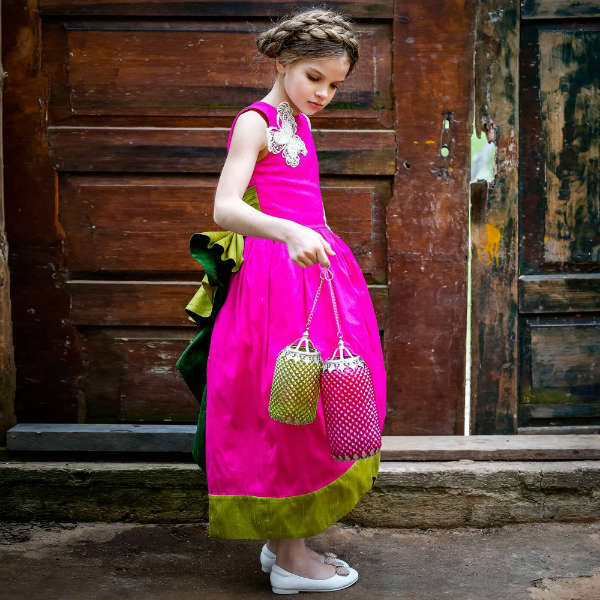 Your little princess will look stunning wearing this girls fuchsia pink and green raw silk couture maxi dress by Lazy Francis. Perfect for a night out at the ball, this gorgeous design has a fitted sleeveless bodice, embellished with two large hand-made macrame and beaded butterflies. 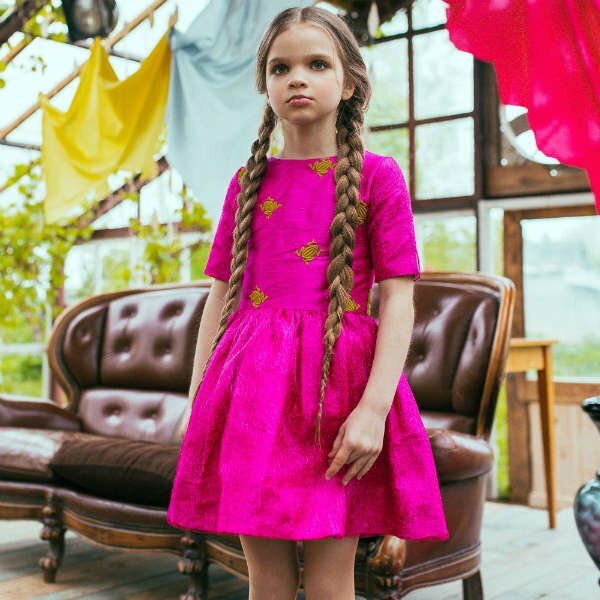 Perfect for your little fashionista, the dress skirt is full length and full at the hips, with a tulip-shaped hem. 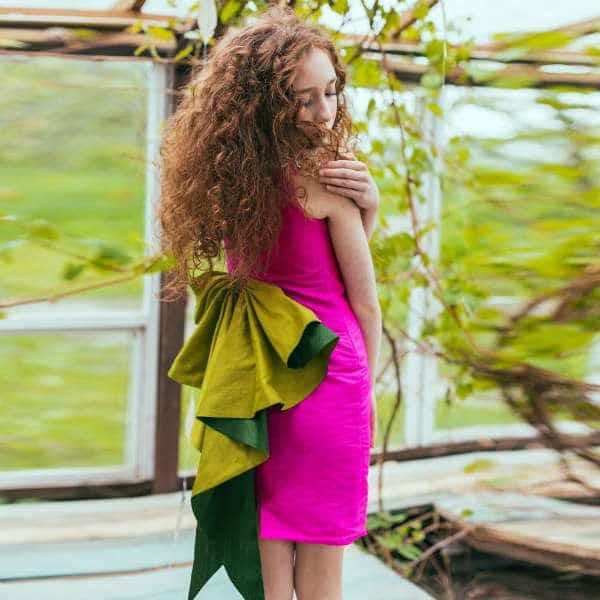 The large green silk bow is the back gives the dress an added special look.